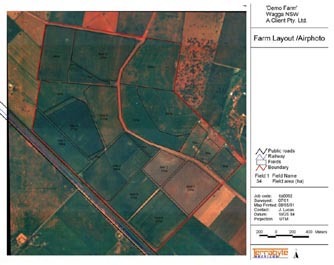 Many farm management activities require the use of reliable farm maps. Government regulations are also more frequently requiring Farm Plans and Property Vegetation Plans (PVP). Terrabyte Services is able to provide a range of farm mapping products ranging from desktop map production using supplied data to high accuracy infrastructure mapping using sub-meter or centimetre accuracy GPS. 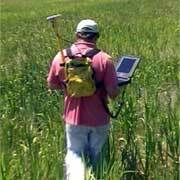 Maps may include only basic field boundary information or comprehensive field, infrastructure and management details. 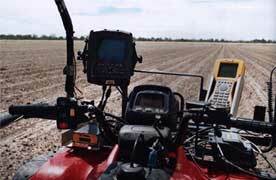 Terrabyte can supply basic mapping software, and can also assist with detailed farm planning. As an independent service, or as part of a farm mapping project, Terrabyte is able to source high resolution aerial photography, aerial (digital) imagery or a range of high resolution satellite imagery from various private vendors and State Government agencies. Terrabyte routinely flies 0.5m-2m digital videography. We are also able to supply .6m QUICKBIRD, 1.0m IKONOS, 2.5-10m SPOT or 25m Landsat imagery. This imagery can be provided as high quality large format prints, or a range of processed digital image products. High resolution imagery requires accurate registration to base maps. Using our Differential Global Positioning Systems (DGPS) we are able to collect Ground Control Points (GCPs) with sub-metre accuracy. Terrabyte is also able to orthorectify and register your imagery using industry standard imagery processing systems. 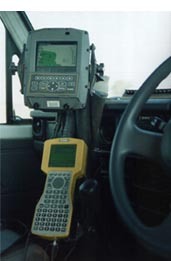 Terrabyte Services uses the latest Differential and Real Time Kinetic (RTK) Global Positioning Systems (GPS). 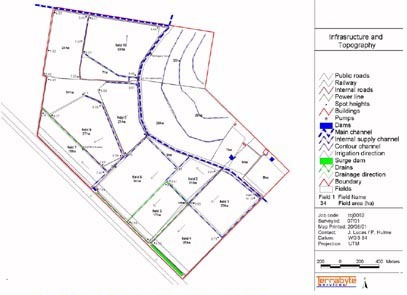 In addition to their routine use for Electromagnetic Surveying and other mapping activities, Terrabyte also offers independent GPS services relating to precision earth moving (dam, road construction etc), infrastructure/asset mapping, and collection of Ground Control Points (GCPs) for ortho-rectification of remotely sensed imagery.